Principal Michelle Richards with Washington Ways Award winners for March. 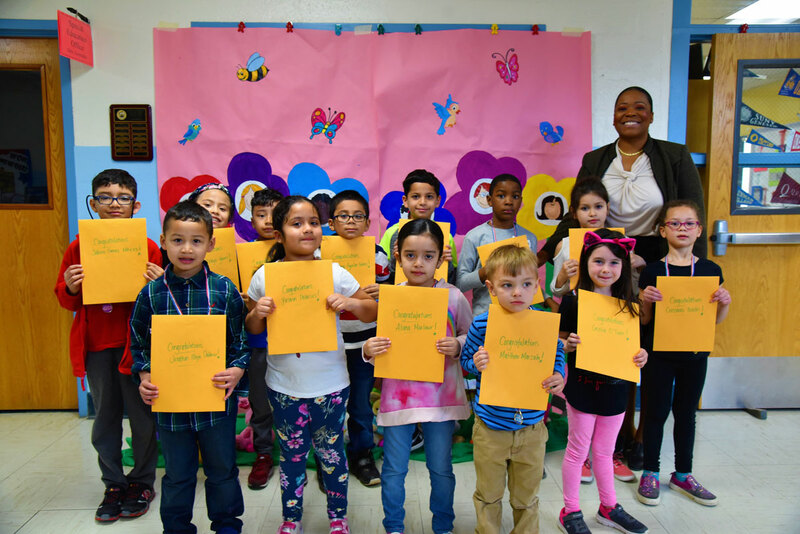 Principal Michelle Richards presented Washington Ways Awards to a large group of students who were cited for their exceptional efforts throughout March. The honorees were announced over the building’s public address system. One by one they walked down to the main lobby and were given a handsome certificate. The group then went outside and posed for a commemorative photo with the principal. The entire classes of teachers Vivienne Joseph, Vanessa Ulloa, Kerry Winberry were recognized as March’s Blue Ticket Award honorees. Red tickets are presented to individuals for notable good behavior outside of classrooms, including in hallways, buses, the playground and cafeteria, etc. 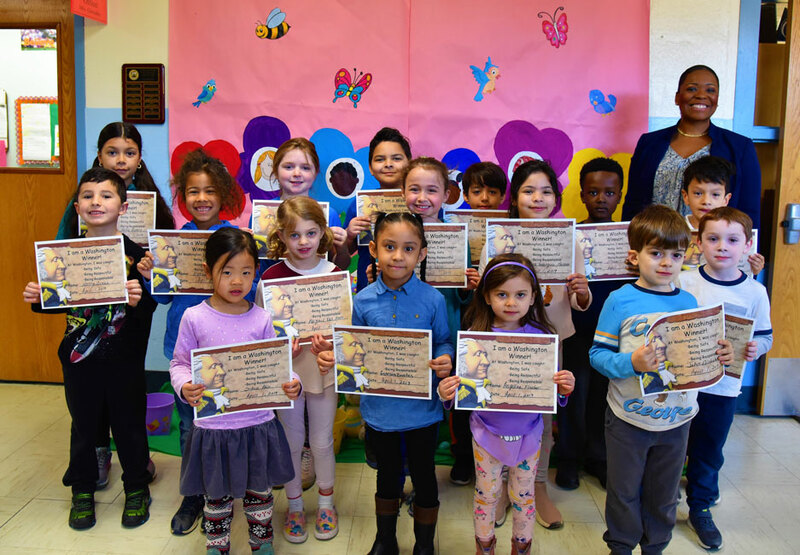 At the end of the month, the student in each class with the greatest number of red tickets is recognized with a special certificate. Entire classes can earn blue tickets for positive group behavior out-of-the-classroom. Blue tickets are also awarded to the two classes within the building with the most tickets overall. Each member of the group received a certificate and a medallion hanging from a red, white and blue ribbon that they wore around the neck. 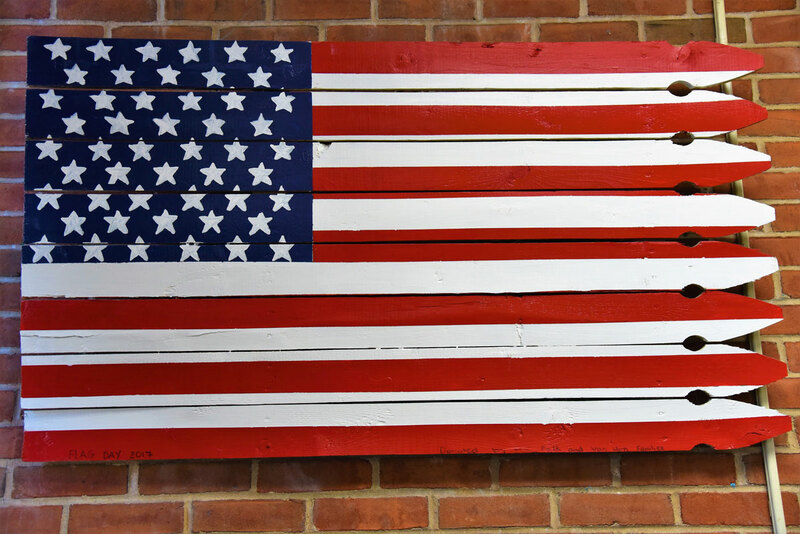 Their artwork is now on display in the school’s main hallway near the cafeteria.